The newest elevator to close is located at the Hollywood/NE 42nd Avenue MAX platform in Portland. TriMet is checking boxes and gliding forward as it works to replace every elevator used by its riders region-wide. Another closure is planned at one of agency's busier stations. This time, the bell dings for the elevator that connects the Hollywood/NE 42nd Ave. Transit Center MAX platform with the elevated pedestrian bridge above Interstate 84 in Portland. It will close for about three months, starting Friday, Jan. 18, and cost an estimated $732,830 to replace. Since it's the only elevator at the station, anyone who can't use the stairs will have to get off at a different stop, and plan their trips accordingly. "They're exposed to the elements, and for all intents and purposes they've reached the end of their useful service life," said Tim Becker, a spokesman. "They still work because we maintain them, but the reliability factor is starting to drop, and so the sooner the better to get them fixed." The elevators at light-rail stops along the snaking path of I-84 are the oldest in TriMet's service area: they've been running since the Blue Line to Gresham opened in 1986. Heat, cold and moisture have all taken their toll, and shorter outages have occurred from time to time. Technicians will tear out the old cab and put in a new one, and complete top-to-bottom touch-ups to the doors, panels and the HVAC, mechanical and heating equipment. Major installation work has already finished at MAX stations at 82nd and 60th avenues. The newest closure is scheduled to end in April. 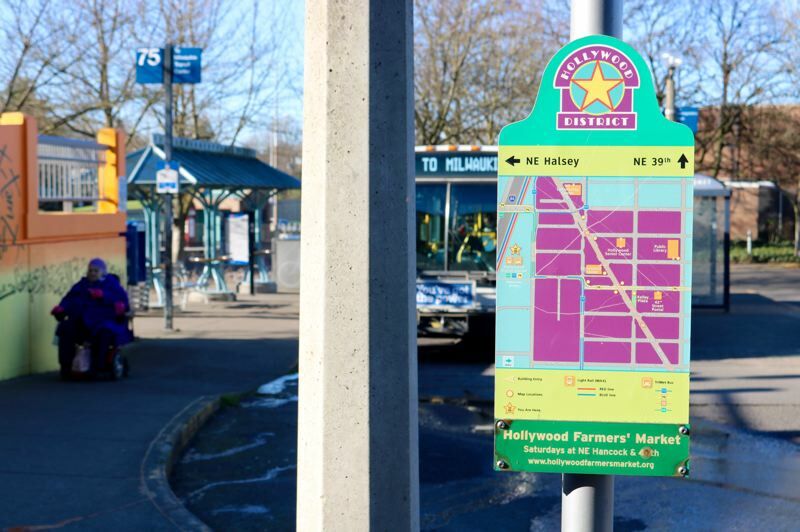 TriMet says the 42nd Avenue MAX stop is its second-busiest station with an elevator, with 30,000 trips recorded each month. Signs explaining the closure have been posted in English and Spanish at the stop. 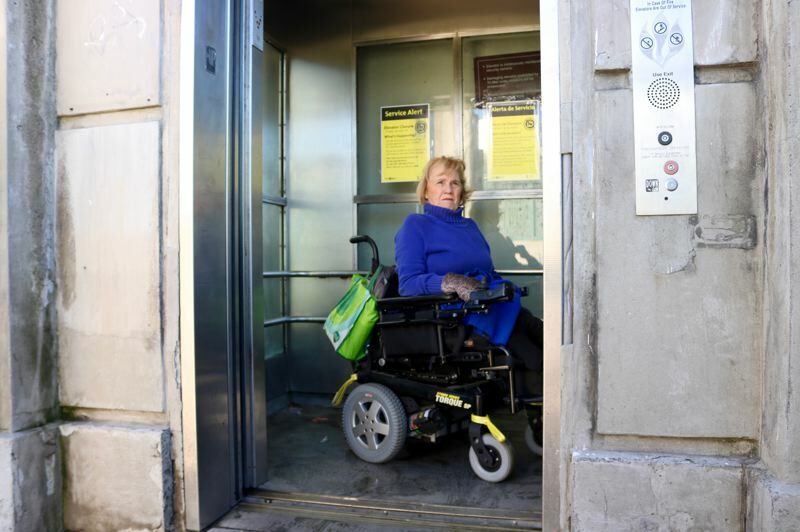 Jan Campbell, chair of TriMet's Committee on Accessible Transportation, notes that the elevator isn't just for people with disabilities — in addition, it's used by weary riders with baby carriages, young children or a temporary issue, like a broken leg. "A lot of people rely on transit. I know for myself, I have no other options because I use a motorized wheelchair," Campbell said in an interview. "There are other buses that come near this area that I will probably take." 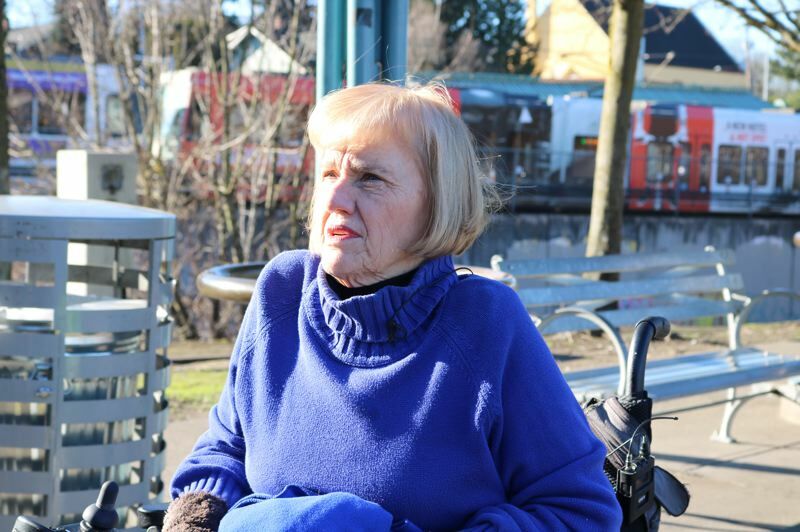 Rachel Rose, who uses a wheelchair due to a disability, was heading toward a Multnomah County Democrats meeting near the airport via the Red Line when she first learned of the looming closure. "It'll make me reroute a little bit," she admitted. "I can work around it." Rose takes the Green Line train to visit her doctor in Sunnyside as well, but is quick to list the alternate bus lines that can get her where she needs to go. She also praises the transit agency's rollout of new LIFT vans, which she says make for a smoother ride that's easier on her back. Rose added: "I ride buses more than I ride MAX anyways." TriMet expects its Elevator Repair Program to cost $22 million to fix up 19 elevators, including 11 open to the public and eight in facilities. Work began in May of last year, and officials aren't sure exactly when they will finish.